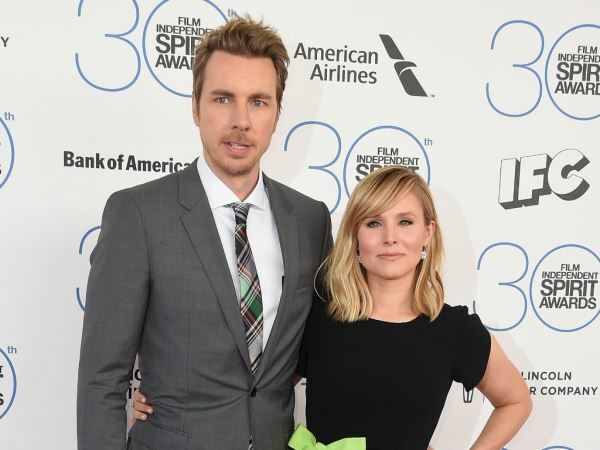 Kristen Bell and Dax Shepard make sure they have a date night every ten days. The couple are parents to two daughters – Lincoln, who turns two at the end of this month, and two-month-old Delta. And while their lives are certainly busy with their family commitments, Kristen insists she and Dax also make it a priority to focus on their relationship. Kristen is also being kept busy in her work life, currently shooting a new movie alongside Melissa McCarthy. But no matter how busy she gets, the 34-year-old will still ensure she gets a date night with her spouse as frequently as possible. “I feel like it’s necessary to stay connected, because you can easily get blinded by all of the multitasking you have to do and then forget that it’s been a month since you’ve spent an evening with your partner, and I don’t ever want to let it get to that,” she said. Dax (40) is certainly outnumbered at the moment, with three girls in the house. But Kristen says he has a plan in place if the girl power all gets a bit too much to handle.